SYNOPSIS: Capt. 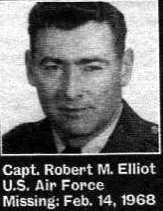 Robert M. Elliot was assigned to the 34th Tactical Fighter Squadron at Korat Airbase in southern Thailand. On Valentine's Day 1968, Elliot was the pilot of an F105D fighter jet assigned a combat mission near Hanoi,North Vietnam. The F105 Thunderchief ("Thud"), in its various versions, flew more missions against North Vietnam than any other U.S. aircraft. It also suffered more losses, partially due to its vulnerability, which was constantly under revision. Between 1965 and 1971, the aircraft was equipped with armor plate, a secondary flight control system, an improved pilot ejection seat, a more precise navigation system, better blind bombing capability and ECM pods for the wings. While the D version was a single-place aircraft, the F modelcarried a second crewman which made it well suited for the role of suppressing North Vietnam's missile defenses. Eighty-six F-105Ds fitted with radar homing and warning gear formed the backbone of the Wild Weasel program, initiated in 1965 to improve the Air Force's electronic warfare capability. Upon pinpointing the radar at a missile site, the Wild Weasel attacked with Shrike missiles that homed on radar emissions. The versatile aircraft was also credited with downing 25 Russian MiGs. Thirteen of these modified F's were sent to Southeast Asia in 1966. Capt. Elliot's Thunderchief was number two in a flight of four. The flight was to make successive runs on their target near Hanoi. As Elliot was pulling off the target during one of his planned runs, his aircraft was hit by hostile fire. He radioed that he was hit, but the rest of the flight did not see any parachute or hear emergency beeper signals indicating that he was able to eject from the aircraft. Elliot was declared Missing in Action. The Air Force was careful not to declare Elliot dead unduly, even though no evidence existed to indicate that he survived. Early in the war, pilots had been declared dead because of the grim circumstances surrounding the crash of their aircraft, only to turn up in the prison systems of North Vietnam. Indeed, several intelligence reports were received that indicated Elliot had been captured, although outside confirmation of this fact was apparently never made. Elliot is among many Americans on whom information is almost certainly held by the Vietnamese, but the Vietnamese continue to deny knowledge of him or of his fate. As reports mount convincing many authorities that Americans are still alive in Southeast Asia, held captive by our long-ago enemy, one must wonder if one of those said to be still alive is Robert Elliot. He may not know that he has been promoted to the rank of Colonel. What must he be thinking of us? is owned by Barry Farnsworth Site ID#315. to be captured and even prepared to die, but I was not prepared to be abandoned." 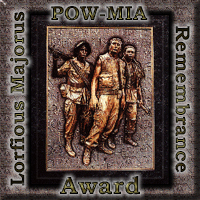 I found the previous quote at the Operation Just Cause web page and found it to convey precisely my feeling regarding our POW/MIA's. Write to your elected officials in Washington and demand to know what's being done. 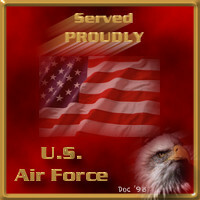 The graphics used on this page were provided by Operation Just Cause and Doc's Military and Patriotic Graphics. Thanks to both. This page has been visited times since 29 January 1999.